And this is her being good! 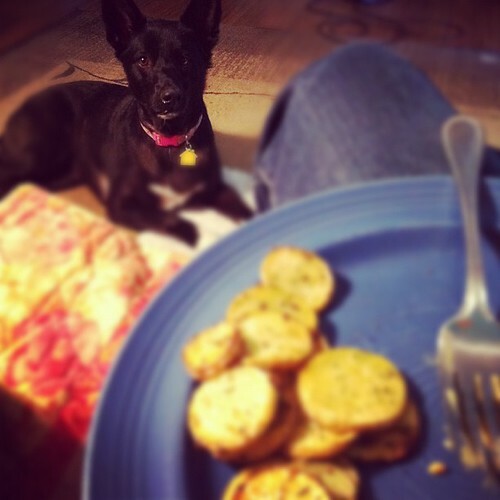 Kassie usually climbs up on the sofa and then tries to "accidentally" fall onto my plate so she can eat it. Telling her no is like telling a lamp to shut-up. Unless it's a talking lamp. Anyways, she has zero manners, so that is something we need to work on. She's still pretty adorbs.